Jennifer’s personal and professional commitment to advocating for persons with disabilities has been ongoing, and she has spent much of her adult life working in the area of disability rights. Prior to her current job as an attorney, Jennifer practiced disability civil rights law, where she represented persons with disabilities in their fight to end discrimination. In her pre-legal professional life, Jennifer spent fourteen years serving as a Congressional aide to George Miller, focusing on disability-related policy issues. Jennifer is a generous supporter of EBI, and volunteers her time, expertise, and energy in her role as President on the board of directors of EBI. Her long commitment to EBI, as a family member of a client, passionate advocate, and knowledgeable professional, make her a valued, highly respected member of EBI’s board of directors. 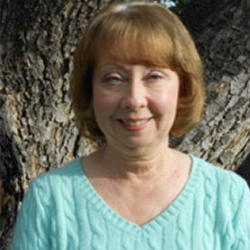 Mary Lou has been a disability rights law and policy advocate for over thirty–five years. 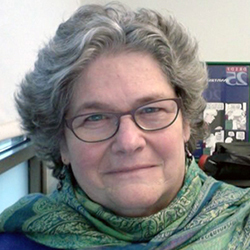 In 1979 she co–founded the Disability Rights Education and Defense Fund (DREDF), a leading national disability rights law and policy center, and presently serves as senior policy advisor with DREDF, directing the organization’s special projects. During her career she has served as a policy consultant, trainer and lecturer on disability and related civil rights topics. 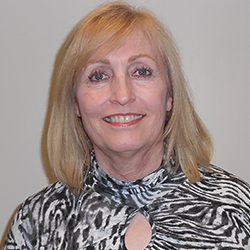 She has received numerous awards for her work, including the prestigious Henry B. Betts award in 2002 for improving the lives of people with disabilities and the community leadership award from the San Francisco Foundation. She has also done extensive work improving healthcare access for people with disabilities. It is this expertise and passion that makes her invaluable as Vice President of EBI’s board. Joe is a graduate of Seton Hall University and a CPA. He is retired after a career in accounting and financial management with small companies to large multinational companies. Joe brings his financial talents to East Bay Innovations serving as Treasurer on the Board of Directors. In his last role before retirement, Joe served as Controller of Trumpet Behavioral Health, which provides applied behavior analysis to help children with autism reach their full potential. 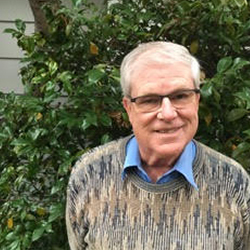 Joe served the disabilities community over the years as a Challenger Baseball Coach and as a volunteer at the Alameda County Transition Fair, the Going to College with a Disability Conference and other events. Joe and his wife, Gina, have lived in Pleasanton since 1974, where they raised their three children, the youngest of whom had cerebral palsy and was a consumer of Regional Center of the East Bay. Joe and Gina are active parishioners at the Catholic Community of Pleasanton (CCOP), where Joe serves in ministry as an ordained a deacon. 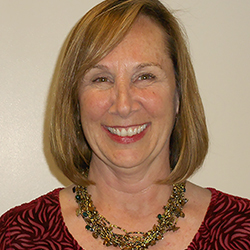 Gina worked for 25 years in Special Education in the Pleasanton Unified School District, spending thirteen of those years as the WorkAbility/Transition Coordinator. She is the mother of 3 children, 2 who received special education services, one of whom was a consumer of Regional Center of the East Bay. She is often a guest speaker on the topic of transition at the Alameda County Transition Information Fair, the Pleasanton Transition Night, the Down Syndrome Conference, and Ramping Up for Independence. Gina serves on the Alameda County Developmental Disabilities Council and the Tri-Valley Network Group and is the REACH Tenant Chairperson. Gina became involved with EBI because she found EBI’s mission to be the same as hers: focusing on ability rather than disability. Her passion in retirement is helping parents navigate the confusing world of transition and advocating for services for persons with disabilities. She is currently serving as Secretary and her generosity, knowledge, breadth and depth of experience make her a much-appreciated member of EBI’s board of directors. Renee has worked at the City of San Ramon for the last nine years, and is currently serving as the City Clerk. She became involved with EBI when looking into services for her son, Brian. After participating in Project SEARCH, Brian was placed in a job in Berkeley. It is Renee’s gratitude for the programs and opportunities that EBI has provided Brian that made her want to be a part of EBI’s board and an active member of EBI’s Development Committee. Renee has seen how successful and valuable EBI’s programs are, and she is a passionate supporter. Her resourcefulness, extensive experience, and commitment make her a wonderful new addition to EBI’s board of directors. Steve Tessler is Executive Vice President, Director of Sales, at California Bank of Commerce and is a member of the Bank’s Senior Management Committee. He joined the Bank in August 2007. 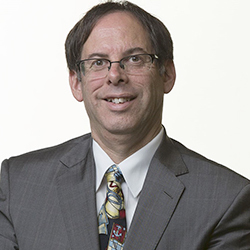 Before joining the Bank, Mr. Tessler spent three years as Manager of Business Development and Marketing for Diablo Valley Bank. As a member of the management team at Diablo Valley Bank, Steve spearheaded sales and marketing while helping the bank grow to nearly $250,000,000 in assets in just over three years. Steve has also worked for City National Bank, CivicBank of Commerce and Wells Fargo Bank. In addition, Steve has approximately ten years of public accounting experience with a focus on serving the diverse needs of mid-market companies. While a native San Franciscan, he currently resides with his family in the East Bay. Steve first learned about EBI through a conference about autism in 2015. As the father of a young adult with autism, and with many contacts in the local business world, Steve’s advocacy for increasing employment opportunities for individuals with disabilities makes him a strong addition to EBI’s board. Karl first heard about EBI when he was preparing for his high school graduation in the Fremont Unified School District, and a staff member recommended EBI’s employment services to him. 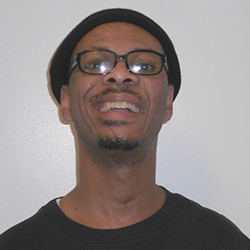 As an individual with a developmental disability, Karl decided to take advantage of the services EBI provides, and with EBI’s help, found a job upon graduating in 2000. He’s held a few positions over the years at Barnes and Noble, Borders, Target and Safeway, with job coaching from EBI along the way. Karl is now an office assistant at Prologis, a commercial property company. In addition to paid employment, Karl was also an active volunteer at a youth empowerment program for three years, where he was a mentor to young people with developmental disabilities. Karl believes in not only donating money, but also donating time to a worthy cause. He currently serves as a member of the Finance Committee at EBI. He chooses to be on the board of directors because he wants to give back to the organization that helped him. 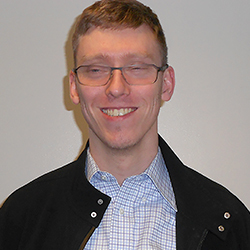 Karl enjoys being able to give his perspective on Board decisions, and is an instrumental voice for individuals with developmental disabilities. Gareth first became involved with EBI when his wife, an EBI client, suggested it to him. He soon began receiving Independent Living Services through EBI. A few years ago, Tom Heinz approached Gareth, and asked him to be a part of the EBI board of directors. Gareth believes in giving back to his community and he appreciates the atmosphere and goals of EBI. Believing that EBI provides a useful, needed service to community members with disabilities, he gladly joined the EBI board. Gareth uses his experience as an EBI client to help the board make decisions that further EBI’s goals. Lady Idos is the Diversity, Equity, and Inclusion (DEI) Program Manager at Lawrence Berkeley National Laboratory, a U.S. Department of Energy (DOE) laboratory, managed by the University of California (UC). As part of the DEI Office, Lady partners with senior management and employees to strategize and implement organization-wide key initiatives. 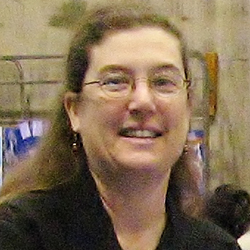 Some of her accomplishments include: launching the Lab’s first Employee Resource Groups (ERGs) focusing on LGBTQ communities, individuals with disabilities, and veterans; creating the first set of Workplace Gender Transition Guidelines for transgender staff within the national laboratory and UC system; spearheading a hiring program to employ individuals with disabilities; and starting an IT internship program for veterans. Additionally, Lady is also experienced in HR compliance with federal and state regulations, specifically equal employment opportunity (EEO), affirmative action (AA), and OFCCP regulations. She has investigated complaints related to sexual harassment and Title IX claims; as well as discrimination, harassment, and retaliation claims under Title VII (EEOC, DFEH, and informal claims). 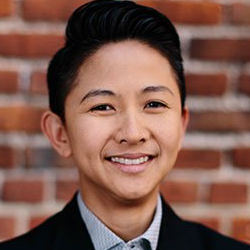 She serves on the steering committee of the Northern California Industry Liaison Group, and is a member of Mercer’s Workforce Opportunity Network for EEO/AA professionals. As a board member, Lady’s accomplishments and commitment to diversity in the workplace will further EBI’s efforts to increase diversity, as a service provider and employer. Lady holds a Master’s degree in Public Administration from the University of San Francisco, and a B.A. degree in Sociology from the University of California, Santa Cruz. 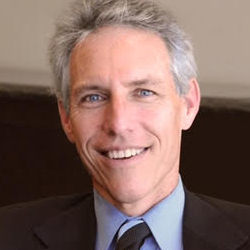 Jack retired in 2016 after a 34-year career as an attorney and partner at Goldfarb & Lipman, an Oakland law firm specializing in affordable housing and community development. Jack became involved in EBI through his daughter Jeanna, who has participated in Project Search and who receives ongoing employment and independent living skills support from EBI that has enabled her to thrive in her job as a teacher’s assistant at a Montesorri pre-school and to recently move in to her own apartment. Jack enjoys and values working with special needs individuals as a 25-year volunteer Special Olympics soccer and basketball coach with Team Oakland. 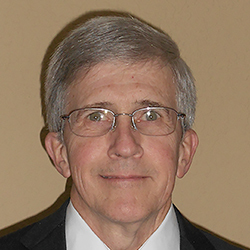 As a new Board Member, Jack looks forward to giving back to EBI for all it has contributed to his family and to offering his professional and personal background and experience to help the Board and staff achieve EBI’s critical mission. Stephen is a Realtor and Accessibility Specialist with Keller Williams Realty in Oakland. He has been focused on real estate services for people with disabilities and their families since 2004, and is a passionate advocate for the community. He moved to the Bay Area in 2000, after careers as a computer software trainer, marketing project manager, news editor and radio reporter. He also had the opportunity to touch the edge of a glacier once! In addition to his board work with EBI, he is a member of the Alameda County Developmental Disabilities Planning and Advisory Council. He is dedicated to EBI’s mission, and has had a long-time association with the agency as a supporter, employee (for a wee bit), and member of the Development Committee. Nikki is the Executive Director of Easy Does It Emergency Services, a nonprofit that provides emergency attendant care, wheelchair repair, and transportation for people with disabilities and seniors in Berkeley. 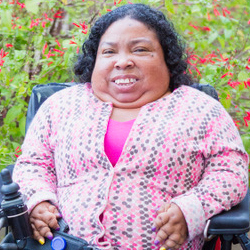 As a person with a disability, Nikki has been employing personal care attendants since she was 18 years old, when she moved away from home to attend UC Davis. Nikki moved to Oakland to attend graduate school at JFK University and now holds a Masters Degree in Clinical Psychology. She is a licensed marriage and family therapist. In her spare time she enjoys cooking, watching movies, and spending time with friends and family.